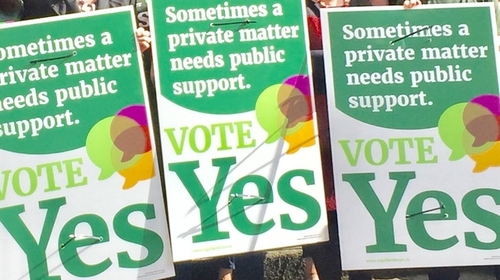 Together for Yes, the campaign group which is calling for the Eighth Amendment to be repealed in the upcoming referendum, is investigating an incident that occurred on it is fundraising webpage yesterday. Digital staff and fundraising staff at the campaign group's headquarters noted that its crowd fund website shut down for 30 minutes yesterday evening. They contacted CauseVox, a US-based company which runs the fundraising website ensuring secure payments online. CauseVox examined the matter and confirmed to the campaign group that its website was subjected to a Distributed Denial of Service Attack, otherwise known as a DDOS. It says the attack came from Ireland. A Distributed Denial of Service attack is viewed as an attempt to make an online service unavailable by overwhelming it with traffic from multiple sources. CauseVox also runs crowd funding for other groups in the Yes campaign, including Amnesty Ireland and Terminations for Medical Reasons. Amnesty Ireland has also confirmed that its crowd funding website was affected yesterday evening. Its Executive Director Colm O'Gorman said the website was interrupted at 5.45pm for around 45 minutes.